NoBark collars give you peace and quiet at home and on the hunt. 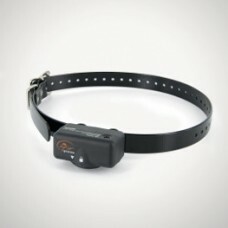 Reliability, simplicity, and effectiveness are among the reasons to use a bark-control collar, as well as why they’ve become increasingly more common with dog owners in recent years. When the collar senses your dog’s bark, it delivers a short, harmless, static stimulation. 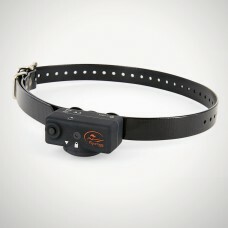 If the dog continues barking, the collar delivers another stimulation. A barking dog quickly discovers that the only way to avoid the correction is to be quiet. When your dog no longer spends energy barking, you’ll have a dog ready to go the extra mile in the field. A dog that has learned to respect the bark-control collar is calmer in the kennel, more responsive on hunts, and easier to train. Hear the quiet? 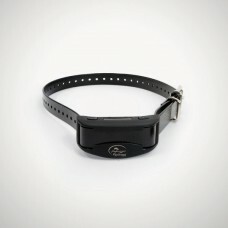 The NoBark SBC-6 is the easiest-to-use bark collar ever invented. Just turn the collar on and put i..